After eight years of being always curmudgeonly but usually right, Dr. House is hanging up his TV stethoscope. Fox's medical drama "House" is ending its eight-year run this season. 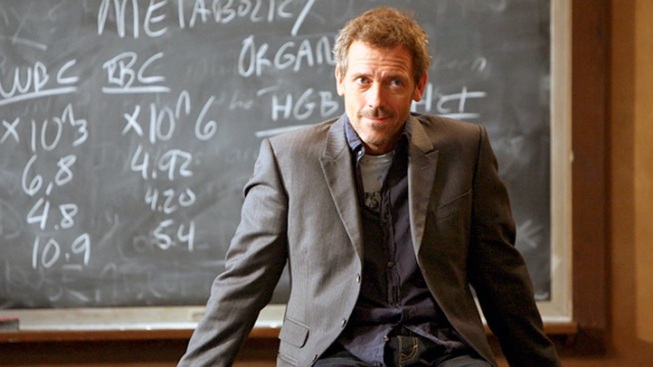 The show's producers, including Emmy-nominated star Hugh Laurie, said it was a "painful" decision but that the time had come to bring "House" to a close. The drama stars Laurie as Dr. Gregory House, a brilliant but troubled physician with a gift for unraveling medical mysteries. Omar Epps, Robert Sean Leonard and Charlyne Yi are part of the ensemble cast. In a statement Wednesday, Laurie and his fellow producers said they imagined Dr. House as an "enigmatic creature," and that it was best for him to vanish while there was still mystery in the air. The season finale date for "House," which airs 9 p.m. EST Monday, was not announced.